Here at Heathcote & Ivory we’re crazy about fragrance. Passionate about the ingredients and notes we choose to make up our bespoke fragrance blends. From your lovely comments about some of our favourites we know that you love gorgeous smells too. We thought we’d do a round-up of three popular ingredients used in fragrance which you will also find in our products: we’ve chosen tuberose, rose and vetiver. We hope you’ll make some new discoveries out of this. So, here goes. Tuberose is an exotic white flower (pictured above) found in faraway places. It has a fabulously rich and intoxicating floral fragrance that's a little like jasmine, a little like gardenia. 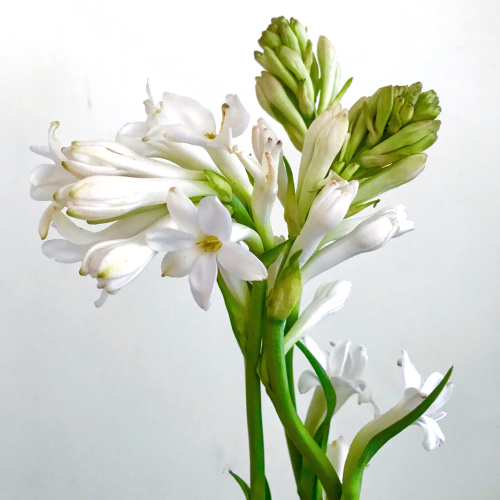 Tuberose is sometimes known as the ‘carnal flower’ for its heady strength. There is even a scent by that very name. Perhaps the most famous tuberose fragrance is Fracas by Robert Piguet. Vintage & Co Bonnets & Belles – the fragrance designed for this limited-edition collection is a full-blown tuberose feast. 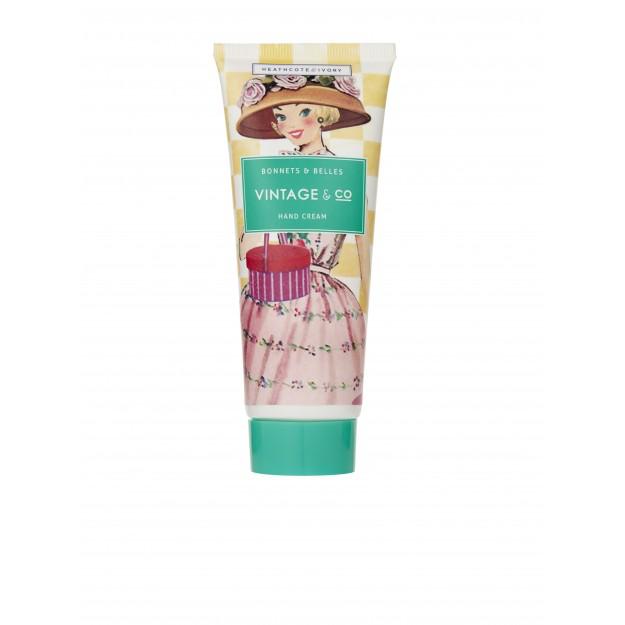 Why not try Bonnets & Belles Hand Cream and slather it over your arms too, to really enjoy its scent. Also find tuberose in the Sara Miller London Tuberose Sandalwood and Vanilla collection – here, heady tuberose blooms intertwined with sandalwood, ylang ylang and vanilla create a deep and captivating scent. There’s orange blossom and rose in there too. 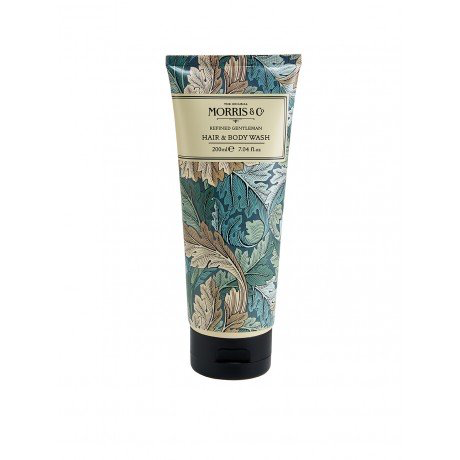 Why not try the Shower Cream which has a luxurious creamy texture and also contains bamboo and blue lotus flower extract for an indulgent treat. Rose is perhaps the perfumer’s most cherished and versatile of ingredients. It also has many guises, sometimes just-picked and fresh, other times deeply sensual and rich. The rose has inspired artists through the centuries. Picture two iconic rose paintings if you will: Pink Roses by Van Gogh (you can buy a copy of Van Gogh roses painting on a stretched canvas at John Lewis. Clever) and Marie Antoinette With A Rose by the 18th century painter, Mme Vigée le Brun. We work hard to bring you rose in a modern way by blending it with other fabulous ingredients to give you something a bit different and special. We use it lots. 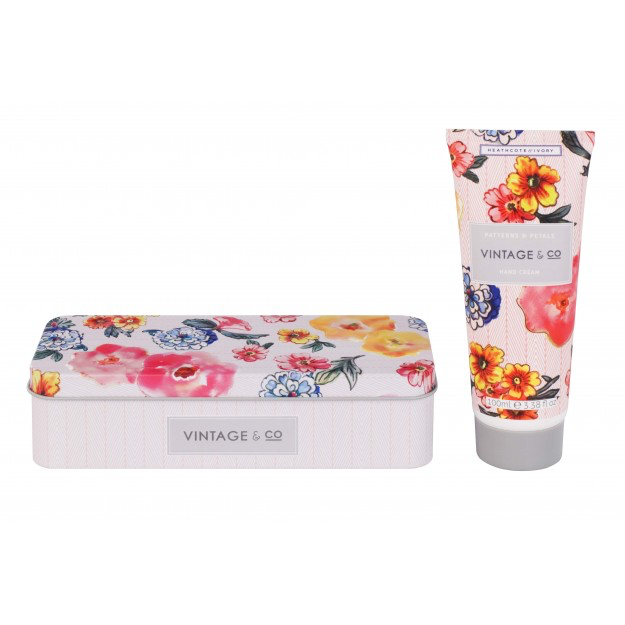 Our Heathcote & Ivory Vintage & Co Collection slips rose into the fragrance blends for both the Fabrics & Flowers and the Patterns & Petals fragrances. Here’s how it works in two different ways. 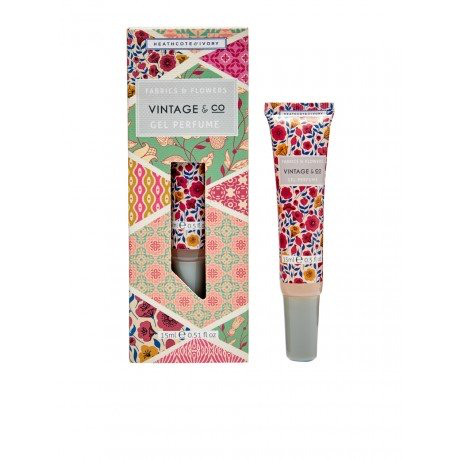 For Fabrics & Flowers we’ve mixed it with jasmine, cyclamen and lilac on a sultry base of coconut, peach and amber. This is an energetic floral. For Patterns & Petals, the mood is fresh and confident. Bright bergamot, pink pepper and sunny narcissus are blended with rose and jasmine. The base is aromatic with cedarwood and vetiver. Speaking of vetiver… it looks a bit like a dry moss, not pretty like a rose. But as they say, beauty is on the inside. Introduce vetiver into a fragrance and you get something amazing. Earthy, aromatic and modern. Once relegated to men’s fragrances, vetiver has found its way into a slew of unisex fragrances, and fragrances for women. The most celebrated vetiver fragrance is for men, but women wear it too. It’s Guerlain’s Vetiver – Guerlain is one of, if not the oldest and most highly respected perfume houses in France. We love vetiver and we use it a lot. You’ll find it in Patterns & Petals just mentioned. Morris & Co. Refined Gentleman signature fragrance uses vetiver. The scent is elegant and aromatic with vetiver topped with refreshing bergamot and piquant pepper, with an ambery dry down. Vetiver also plays a leading role in Sara Miller Fig Leaf, Cardamom and Vetiver. This is a glorious fragrance that brings out vetiver’s fresher greener side, with the added scent of fig leaves, hints of grapefruit and warm cardamom. The Hand Cream is wonderful.